Edinburgh Uni Hare and Hounds men made history at the final East League XC meeting of the season at Livingston. For the first time in just over half a century, the students savoured overall championship success in the event. In doing so, the men in green ended a run of six-in-a-row in terms of the East League XC title for Central AC in the Senior Men’s team event. It was their first win since the 1967-68 season. Fife AC Women, who are heading to Portugal next month as representatives of British Athletics at the European Clubs Cross Country Champs, sealed their overall title success at Livingston, too. Morag Millar of Central AC won the women’s race, with Freya Ross in second place, and Scott Fraser of HBT took the men’s race. In the overall totals for the season, the Men’s team 1-2-3 was Edinburgh Uni Hare and Hounds, Aberdeen AAC and Edinburgh AC. The Women’s team 1-2-3 was Fife AC, Edinburgh AC and Edinburgh Uni Hare and Hounds. The finisher total of 821 athletes was a new league record for the final meeting of the East League XC programme – yet more evidence of a real positive upsurge in cross country in Scotland over the past few years. There was a new PB for Zoey Clark over 60m at the Aberdeen Open Graded event on Sunday. 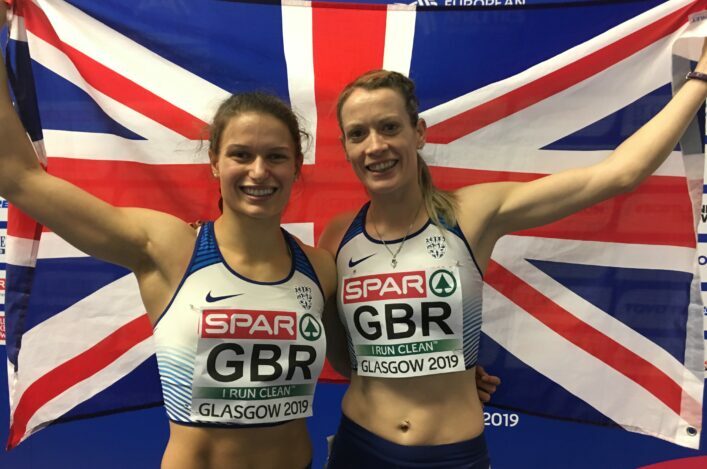 The GB international clocked 7.46 with a run that will lift her to seventh place on the Scottish all-time indoor list, just ahead of Katy Wyper. 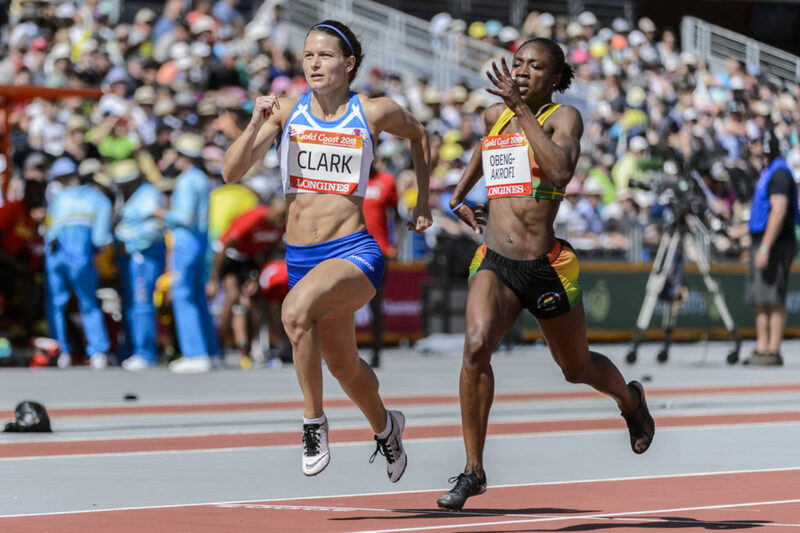 Both Clark and Wyper are on the start-lists for the FPSG Seniors and U17s at the Emirates Arena on Saturday. Aberdeen AAC sprinter Rebecca Matheson also clocked a PB as she covered 60m in 7.67 seconds. Marathon runner and Scotland road international, Fiona Brian, was in action over half marathon in America at the weekend. 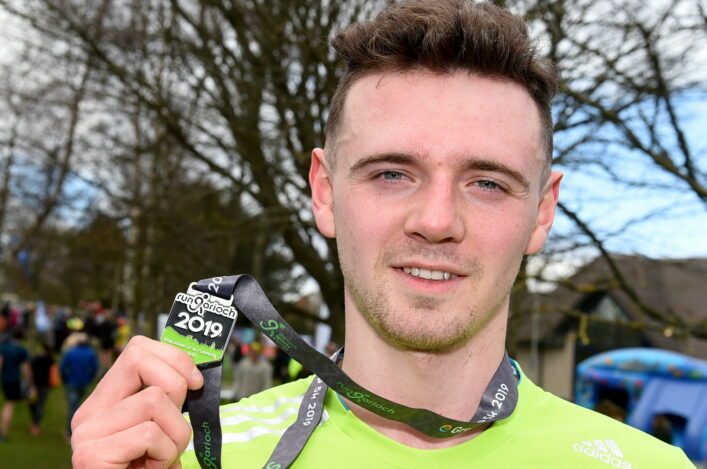 It was the next stage in a return from injury towards the end of 2018, and the Metro Aberdeen runner clocked 76.58 at the Houston Half event. Brian’s next focus will be the Big Half in London. 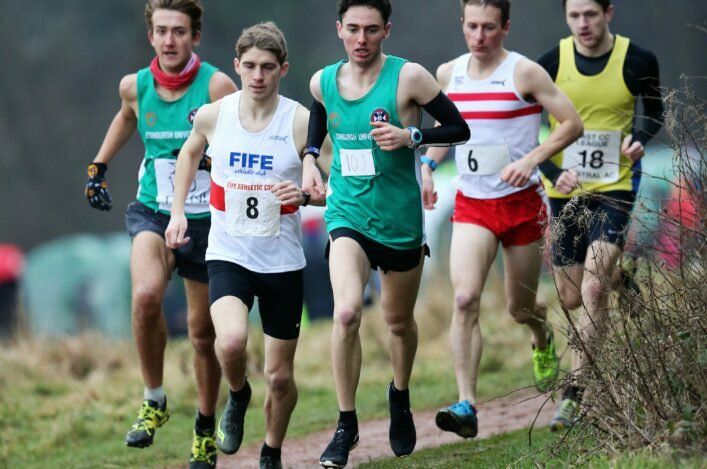 Kilmarnock Harriers hosted their Roon the Country open XC event on a cold Sunday in Ayrshire – with around 225 athletes taking part in various age gorups. The event included U11s as young athletes from a number of clubs were handed their first chance to race cross country.